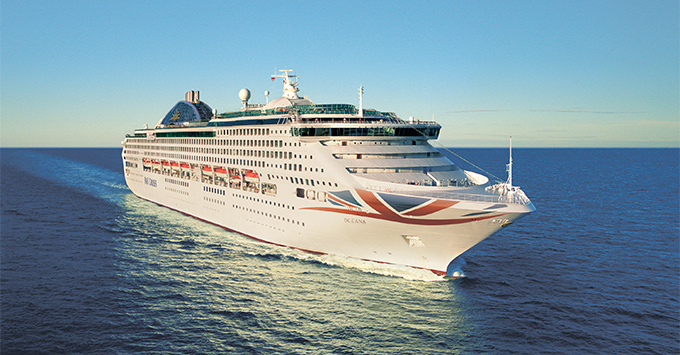 (4:45 p.m. BST) -- P&O Cruises has revealed details of multi-million pound refits for two of its ships -- Arcadia and Oceana. The 2,084-passenger Arcadia will go into dry dock in the next few days and will have a ship-wide refresh which will include refurbishing cabins, suites, public areas, bars, main dining restaurants and speciality restaurants. The ship's last refurb took place four years ago and created 24 new cabins at a cost of £34 million. Arcadia's first cruise after the refurb will be a three-night cruise to Belgium on November 15. The ship sets sail on a 99-night world cruise in January. Oceana goes into dry dock at the end of November and will also have a ship-wide refurb, concentrating on refitting carpets, floors, curtains and furniture in cabins, bars and public spaces. Its last refit took place five years ago. The 2,018-passenger ship will embark on a 12-night Canary Islands & Portugal cruise round trip from Southampton departing December 17, 2017. The Aquarius pool and bar at the stern of the Lido Deck will feature a brighter colour scheme with new chairs, bar stools, sofas, coffee tables, signage and wall tiles. The Atrium/Reception will be fitted with new carpets, chairs, banquettes and cushions as well as a new nautical-themed wall feature. There will also be new open plan Future Cruise Sales & Loyalty booths. The Oasis Spa will be fitted with new carpets and blinds in reception, as well as refreshed loungers and armchairs with new cushions. The Intermezzo cocktail and Champagne bar will have a new colour scheme, reflected in new carpets, blinds, chairs, sofas, bar stools, coffee tables and lamp shades. New lighting and ironmongery will have a subtle nautical theme. The Belvedere Buffet will feature new seating and carpet and tiled flooring throughout, as well as improved lighting, new permanent waiter stations, four passenger hand wash stations and a self-serve for-fee Costa Coffee station. The Piano Bar will get new carpets, window treatments and furniture. The Rising Sun pub will be given new carpet, vinyl flooring and select furniture. The ship's suites will have new sofa beds, armchairs, coffee tables and headboards as well as various decorative items such as curtains, bed cushions, throws and lamps. Most cabins will be given new sofa beds while selected cabins will be re-carpeted and have balcony doors replaced. Suites will get new carpets, curtains, sheers, bed runners, cushions, valances, headboards and lamps while cabins will get new carpets, lampshades and stools. Public spaces and the Atrium will have brand new redesigned carpets throughout. The Plaza Buffet will get new carpet and tiling throughout as well as new chairs and banquette seating. Draught lager will also be available. The Yacht & Compass and Magnums will both get new flooring throughout, new furniture and new window treatments. Winner's Bar will be re-carpeted and be given new furniture. Refurbished youth spaces will feature improved entertainment equipment, re-decorated walls and flooring, new soft play equipment, revised nursery space and an updated area for teenagers. The Terrace Bar will have refurbished hot tubs, re-tiled flooring and horizontal surfaces as well as a new canopy over the pool which will extend out to cover the bar. The Spa and Gym will be brought up to date with new décor, wall covering, blinds and flooring.